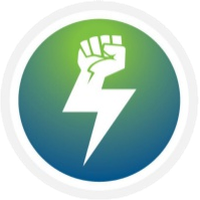 4NEW, (symbol KWATT) was released on 22nd August, 2018 and runs without the need of a central bank or single administration. The decentralized digital asset is not mineable and adopts the proof of stake (pos) consensus. To get KWATT, you can go from a cryptocoin exchange service. 4NEW can be found online, on social networks like Twitter, Facebook, Telegram and Reddit. We don't have any exchanges listed for 4NEW yet, check back soon! We don't have any wallets listed for 4NEW yet, check back soon! We don't have any debit cards listed for 4NEW (KWATT) yet, check back soon! We don't have any price charts listed for 4NEW yet, check back soon!